As finals week approaches, students at Grand Valley State University are completing papers and projects. For students with more creative pieces, fishladder is accepting submissions until Dec. 22. 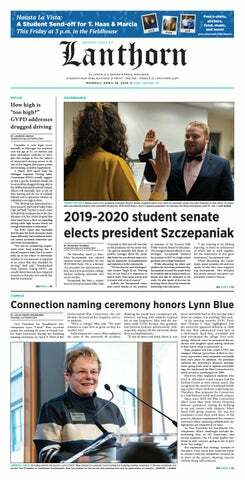 Jackie Vega, GVSU senior and editor-in-chief of fishladder, said the student-run publication received about 400 submissions last year, and so far, about 50 students have submitted for the 2016 edition. These come from anyone, regardless of their major. Students can submit their written and visual works to several categories: non-fiction, fiction, poetry, art and photography. They can also send drama, which should be placed into the appropriate category depending on the content. Vega added that students can submit multiple pieces to multiple genres. The limit is three fiction pieces (20 pages or less), three nonfiction pieces (20 pages or less), five poems and three drama pieces, as well as five photos and five art pieces per submission deadline. Although the publication changes every year as the staff and submitters change, Vega said they can count on the most submissions going to the fiction category, which had between 70 and 80 pieces last year. Some students might not want to risk their work getting rejected, but Vega said the journal is just one of the many ways students can get involved on campus. The journal has had a few faculty advisers since it began in 2003. Amorak Huey, a GVSU writing professor, said his department has passed the role around, and this is his third year as adviser. Besides offering advice, he helps select the senior editors, works between the students and the printer and handles the monetary side of the publication. He agreed with Vega that getting involved with fishladder has many benefits. Even though getting published can be difficult, he said it is worth taking the chance. After the submission portal closes on Dec. 22, the fishladder staff will review the pieces and choose the ones they feel should be considered for publication. A print edition comes out every April. To send in writing or artwork, go to www.fishladder.submittable.com/submit and sign up for a free account. For more information about the journal or to read past editions, visit www.scholarworks.gvsu.edu/fishladder.